What are your Brand Archetypes? Having a distinct identity is essential to online success. It raises your visibility and allows you to connect with your customers on a more personal emotional level. So discovering what your brand archetypes are, is central to positioning your company and products in a unique way. According to Swiss psychologist Carl Jung, humans tend to use symbolism to understand their world and he identified 12 archetypes (powerful identities or personas) that makes up the world. Each identity has its own set of characteristics, values, attitudes & behaviors. Advertisers use this archetype concept when creating marketing ads, business messages, and etc. Consumers connect with, or relate to the personality of brands and how they represent needs and desires. And of course, through relating, that brings us closer to that company and their products. Archetypes are a powerful marketing and advertising tool and cover a broad range of iconic characters, everything from the Good Guy (Hero) to the Bad Guy (Rebel). So take time to learn about each one and how they may apply to your business brand and use these archetypes as a basis for your online marketing and even when writing product descriptions and content for your website. I will spread the types of archetypes out with descriptions and examples over the course of several blog posts. 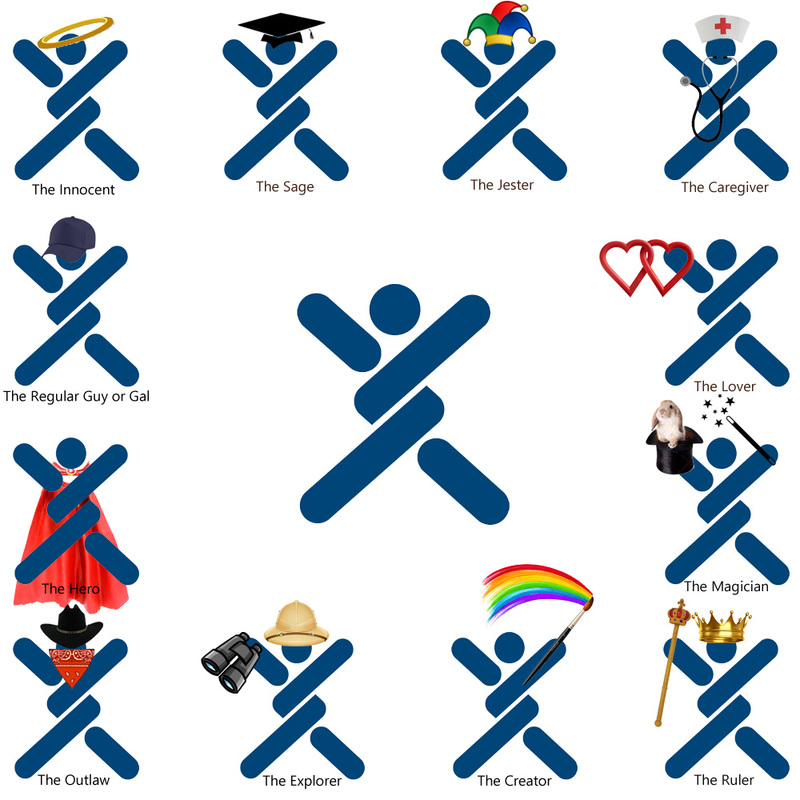 In the meantime, here is a list of the archetypes that we will be covering.. I’m sure that you can already attach certain archetypes to well known brands already! This entry was posted on Friday, November 20th, 2015 at 3:16 pm	and is filed under Marketing, Online Business, What's New. You can follow any responses to this entry through the RSS 2.0 feed. You can leave a response, or trackback from your own site. It is amazing to find new wqy of business. I sant to get more information. Fascinating how things are label. My old brain is having a hard time understanding all of this Archetypes stuff. If I was comparing these to myself then I would totally understand. Hopefully this will all come together and I can get my little store going. Hi James, once you finish the whole archetype series, I think you will get a better grasp on the different ones. On my final post, I did an example for how you can market a certain set of products to different archetypes, which I think would be helpful. Thanks for commenting! 5 Responses to What are your Brand Archetypes?